Logitech G have announced the Logitech G Pro Gaming Headset, the Logitech G Pro Wireless Gaming Mouse and the Logitech G Pro Gaming Mouse with HERO Sensor. The Logitech G Pro Gaming Headset features Logitech G Pro-G drivers, ear pads for noise isolation and a pro-grade condenser microphone. The Logitech G PRO Gaming Headset has also been named the official headset of the Electronic Sports League (ESL) CS:GO Pro League, ESL One and ESL Premiership, and will be the headset of choice for several top teams and players. "As a leading gaming gear manufacturer, we develop what eSport professionals, players and enthusiasts are looking for,” said Ujesh Desai, vice president and general manager of Logitech Gaming. “The PRO headset was developed in close collaboration with TSM, G2 Esports and London Spitfire players. 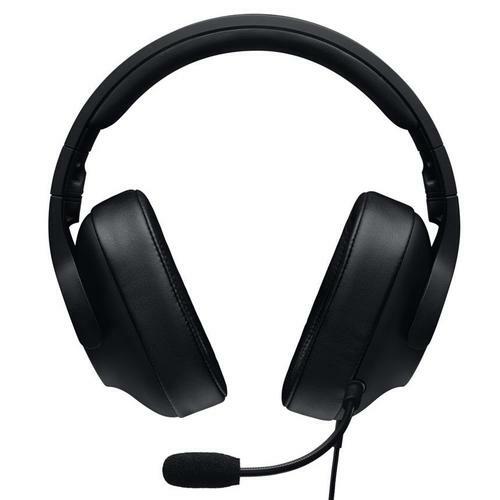 Our design includes features such as a tournament-grade mic and comfortable leatherette for the perfect headset for eSports and pro gamers." The Logitech G PRO Wireless Gaming Mouse and the Logitech G PRO Gaming Mouse with HERO sensor will be available from September 2018 for $249.95 and $99.95 respectively. The Logitech G PRO Gaming Headset is expected to be available from late September 2018 for $139.95. For more information, visit www.logitechG.com. Which 2018 gaming headset should I buy?